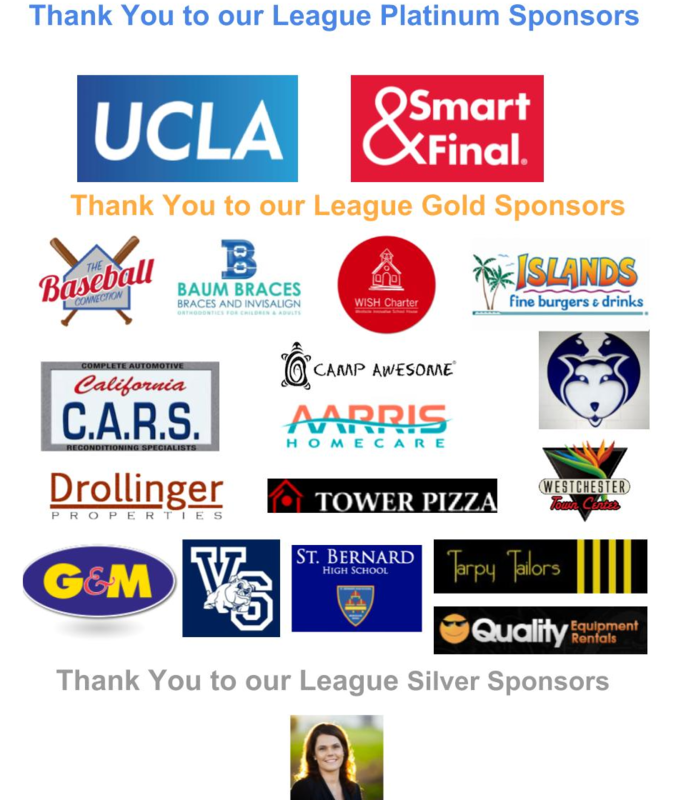 Thank you to our 2019 League Sponsors! One of the many benefits of living in Westchester is being eligible to enroll in the Westchester Little League (WLL). If your home address — or even just your school — fall within its boundaries, you are allowed to register. “Those ‘work days’ gave me a true glimpse of spirit of community in Westchester,” said Tony Palka, coach for his son’s team last Spring. By the time most of these kids get to their final season, they have played on the same team as every other kid at least once. Many of them go to school together, or live near each other, and this is a place to develop those Westchester bonds.